The fully featured droid from the universe of Star Wars has gotten a new mission. That’s to hold your delicious food. If you’re the fan of R2-D2, let’s go on checking the R2-D2 lunch bag. This is an officially licensed lunch bag themed by Star Wars, the epic sic-fi series. The lunch bag measures 5.75 x 5.5 x 11.25 inches, and as we can see from the images, it features a classic design originated from R2-D2, one of the most famous droids in Star Wars, and the R2-D2 lunch bag will show off the lights and sound effects when you push the button. 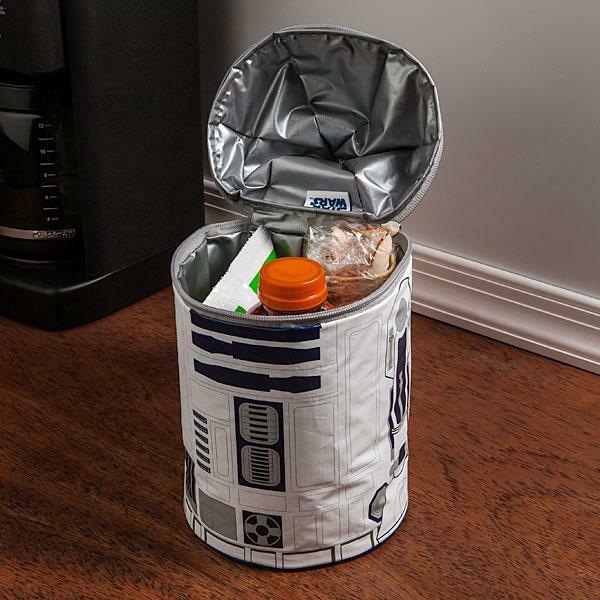 Of course, the special R2-D2 is made of food-safe, BPA-free material instead of any alloy, and the superior quality closed cell polyethylene foam insulation keeps your food fresh. The Star Wars R2-D2 lunch bag is priced at $19.99 USD. If you’re interested, jump to ThinkGeek for more details.